How are you at memorizing Scripture? Unfortunately this wasn't something I did as a child. It's too bad, because I hear it would've been much easier had I done it back then. Thankfully, it's never too late. Really! God says we should, and He always empowers us to do what He's called us to! Now before you say that you can't memorize Scripture, let me tell you that if I can do it, anyone can. Thirteen years ago, I had a closed-head injury that left me with little short term memory. (So if I don't remember your name the first twelve times you tell me, it's nothing personal.) Sometimes I even forget things that I've known for a long time. Like today, for example. I went to the station to fill up my vehicle and forgot how to pump the gas. Seriously! I couldn't remember how to turn on the pump. Then after it started working (I think they turned it on from inside the station) I realized I hadn't slid my card through, so I did that, which then immediately stopped the pump. Finally I went inside and was told I'd have to put the nozzle back and start over. I replied that I had already done that, only to walk back outside and find the nozzle still in my vehicle. All this to say, if I can memorize Scripture, so can you! The first thing to remember, as with all of the things God commands us to do, is that we can't do this on our own, nor does God expect us to. The key is to always ask God to help you memorize His Word. It's one of those prayers He loves to answer. How you do it isn't important; the important thing is that you do it. God has enabled me to memorize a fair amount of Scripture through the years. My problem was that once I learned it, I had no idea of how to retain it. I'm so excited to share with you the answer I found for this dilemma! The days of the week (Monday, Tuesday, etc.) - I didn't have enough dividers so I skipped this step. Next, transfer the verse you'd like to memorize onto an index card. This will go behind the "Daily" tab. I find just writing the verse out helps me commit it to memory. I like to place the verse wherever I happen to be working so that every so often I can read through it and begin to memorize it. Learning the reference (book, chapter and verse) is the hardest part for me, so I write that on both sides of the card. Once you've learned the first verse, move that card behind the "Odd" tab and insert a new verse behind the "Daily" tab. Once this second verse has been learned, move it behind the "Odd" tab, take the verse that was behind the "Odd" tab and move it behind the "Even" tab, then place another new verse behind the "Daily" tab. Continue this process of moving each of the verses back a space every time you have learned one and are ready to start with another. I was in the habit of writing the verses I was learning on to index cards, so I collected all my cards and began to go through them. If I knew the verse well, I put it behind one of the numbered dividers. If I knew it somewhat, I put it between the "Odd" or "Even" tab, and I chose one I didn't know well at all to put behind the "Daily" tab. All the other verses I didn't know I placed before the "Daily" tab, so as I learn a verse I can continue to just move them each back a space. Now you have a way to keep refreshing your memory as you learn verses by going where the tabs direct you. For instance, if today is Tuesday, August 20 you will work on the "Daily" verse, the "Even" verse (since the date is an even number), the "Tuesday" verse (if you included the days of the week) and the verse behind the date (in this case, 20). Note: I have the verse side of the cards facing forward while they are behind the first three dividers - "Daily," "Odd," and "Even." For all the verses further behind that I have the reference side facing forward. That helps me to connect the reference with the verse. I am amazed at how quickly I've been able to recapture those verses I thought I had forgotten once I began reviewing them on a regular basis. I've even been able to memorize verses that I've never learned before but were quite familiar without much difficulty. Hide God's Word in your heart, memorize Scripture and really listen to what God is saying, and I guarantee you will be blessed! I can't tell you how many times God revealed something in His Word to me only after I had gone through the verse umpteen times. Don't know where to begin? Why not start here with an alphabetical list of verses to memorize? Just the fact they each start with a letter of the alphabet helped prompt me to recall which verses I had learned. God, I thank you that through you all things are possible. I thank you for your Word, that it not only speaks to us in a general sense, but by the power of your Holy Spirit you speak directly to each of us as individuals as well. 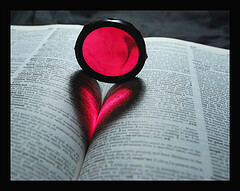 Thank you for giving us the capability of memorizing your Word and for the abundant blessings that come along with it. Great tips here, Lisa. I love what you have shared about your own struggles with memory to encourage those of us who find it difficult. Great post. Linked here from Let Me Tell U a Story. Thank you for this encouraging post. I've been taking part in Beth Moore's memorization plan, and was about to give up after being sick for about 3 weeks. When I read your post, a light bulb came on. I realized I hadn't asked God for His help in memorizing - I was trying to do it on my own. ...So, here we go again! Thanks! This is encouraging! I didn't know about your head injury; sorry you had to experience that. I had a friend with a head injury from a car crash and she now remembers more than any of us because she developed a system of writing things down. Reviewing isn't as fun to me as learning the new verses, but it's the only way to keep them. Thanks for sharing this!